Please note that advance tickets to this event are SOLD OUT! A limited amount of STANDING ROOM only tickets will be available the evening of the event by CASH ONLY. MU Students can also attend in the STANDING ROOM Section for free with their ID. A cavalcade of Holiday favorites featuring the Monmouth University Chamber Orchestra, The Jazz Hawks, The Concert Choir, the Chamber Choir, soloists, and a special appearance by the Colts Neck Reformed Church Exultation Ringers, all in the magisterial setting of Wilson Hall. Going to this event? Tell your friends! 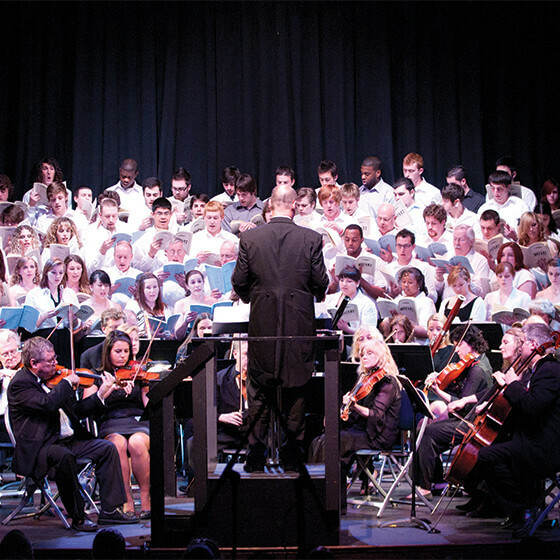 Enjoy an evening of music performances, by Monmouth University Choirs and soloists, in the magisterial space of Wilson Hall, Monmouth University. Come join us for a celebration of the rich tapestry of choral music in all its magnificence. A swinging tribute to Ol’ Blue Eyes, My Way: A Musical Tribute to Frank Sinatra relives Sinatra’s legendary career as four actors take you on a musical revue spanning the breadth of his career from his early beginnings as a crooner in New York, to the bright lights of Las Vegas with the Rat Pack, to his final performances. Conceived by David Grapes and Todd Olson, My Way invites its audience to take a trip down memory lane while reliving Sinatra’s remarkable five-decade career the 1950s to the1990s. 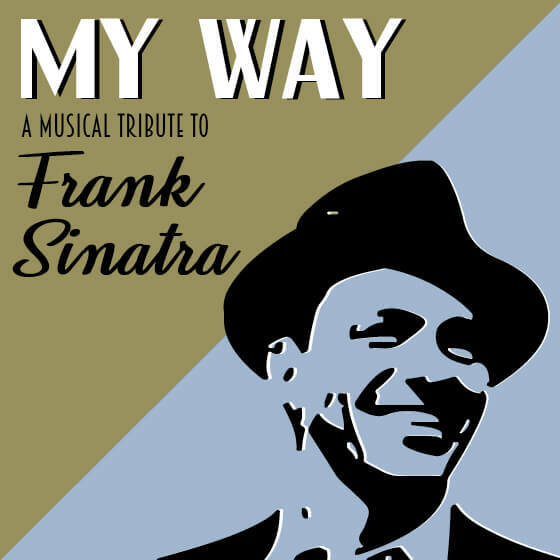 From a songbook of over 1300 tunes, My Way chooses fifty-four of Sinatra’s songs that include “Fly Me to the Moon,” “Chicago,” “New York, New York,” and “That’s Life.” It’s a celebration just as Ol’ Blue Eyes would have wanted it – a few stories, a few drinks, and plenty of knockout tunes.